This groundbreaking documentary dissects a slanderous aspect of cinematic history that has run virtually unchallenged from the earliest days of silent film to today’s biggest Hollywood blockbusters. Featuring acclaimed author Dr. Jack Shaheen, the film explores a long line of degrading images of Arabs–from Bedouin bandits and submissive maidens to sinister sheikhs and gun-wielding “terrorists”–along the way offering devastating insights into the origin of these stereotypic images, their development at key points in US history, and why they matter so much today. Shaheen shows how the persistence of these images over time has served to naturalize prejudicial attitudes toward Arabs and Arab culture, in the process reinforcing a narrow view of individual Arabs and the effects of specific US domestic and international policies on their lives. 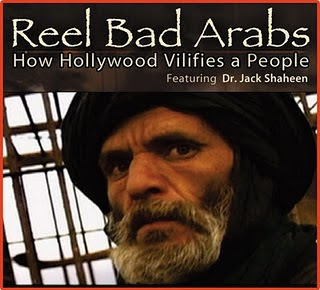 By inspiring critical thinking about the social, political, and basic human consequences of leaving these Hollywood caricatures unexamined, the film challenges viewers to recognize the urgent need for counter-narratives that do justice to the diversity and humanity of Arab people and the reality and richness of Arab history and culture.